Incredible New Software Lets You Run A Money-Making Membership Site, On 100 Autopilot! == Creates a Password protect members only folder in your website. == Creates Signup Forms for your customers to create membership account. == Works with multiple payment processors (ClickBank, Paypal etc) to collect membership access fee. == Includes a system to create unique user ID and password for all members. == Provides an easy to use Admin Control panel to manage your members. == Add all new members into your AutoResponder (Aweber, GetResponse etc.) system. == Advanced Search Option to search members User ID, Email, Receipt number, IP address etc. == Easy to use Admin Setup page to modify system variables. == Provides a lost password retrieval utility for your members to retrieve their forgotten login details. == Encrypted Paypal Button Code Fields: Instead of providing Raw Button Code fields, you get Encrypted Paypal Return URL, Notify URL and Custom Field for extra security. You can easily copy and paste those fields into your PayPal buynow/subscription button code. == Brings you steady monthly income! 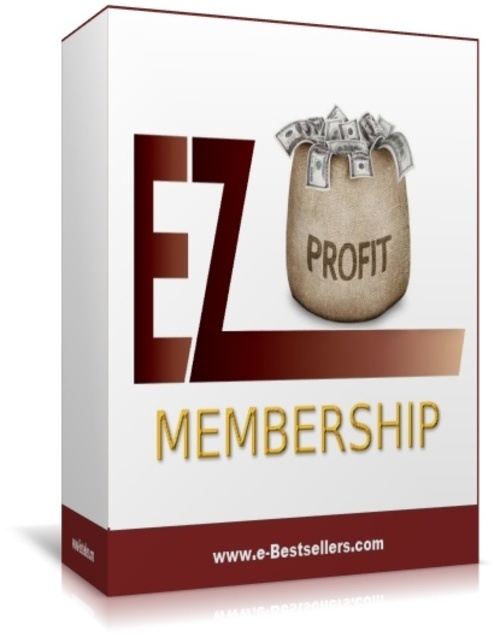 All you have to do is create your sales page on the front end, add your payment options in the admin panel and sit back, safe in the knowledge EZ Membership Profit is taking care of all the hassle and hard work of protecting your download page and content. With this new technology, we feel the membership script is reasonably priced. After some testing by the user as to its effectiveness, it should generate more leads/enquiries/orders and therefore pay for itself many times over. Membership Site Manager, Mrr/giveaway Included!